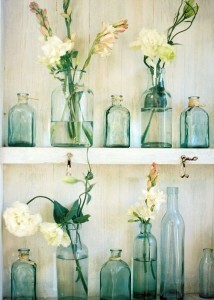 I have a small collection of different colors, sizes & styles of bottles at home. I just love the different shapes. We also have a WIDE range of bottles in the store! You can create a nice collection with out taking up a lot of space or spend a lot of money. Over the last several years I have sold more bottles than I can count. 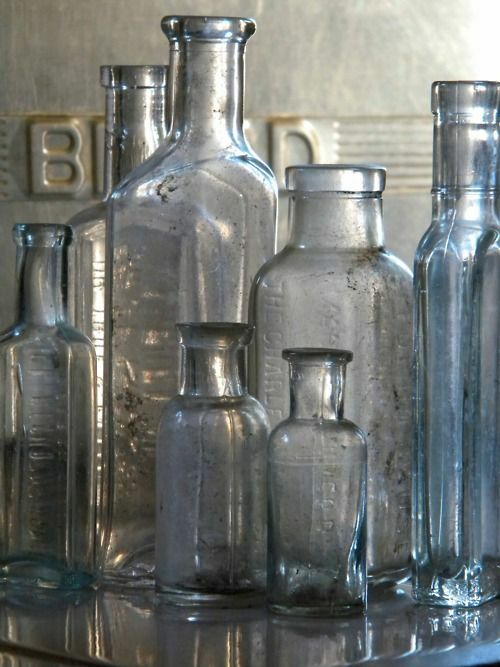 What is it about old bottles? Well, there are so many different colors, styles, sizes & uses. 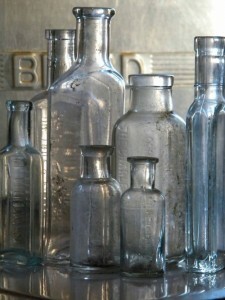 I am going to share some ways to use some of these unique pieces of glass that we call bottles! Many ladies have been using small bottles as flower vases on their wedding reception tables. I love to a mixture of color and sizes on my shelves. And others love to decorate and paint them. 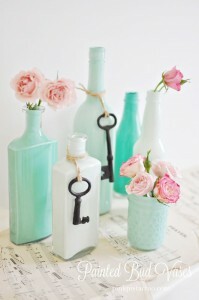 More info on how to decorate and paint old bottles in on another day! I am going to share ways to clean out the bottles. I personally love them just how they are dug out of the dirt! Have an awesome day, and don’t forget to share pics of your old bottle collection.